More NFL players are testing positive for amphetamines, a class of substances that includes the ADHD drug Adderall. Since the start of last season, more than 10 players suspended for failing drug tests have publicly blamed it on taking the stimulant. And while the league doesn't identify the substance when a player is penalized, senior vice-president Adolpho Birch acknowledges that the number of positives for amphetamines has increased. Because the type of drug isn't disclosed under the NFL's agreement with the union, nothing prevents a player from claiming he took Adderall when, in fact, he tested positive for a steroid or another stimulant. The tests don't differentiate between Adderall and other amphetamines, Birch said, but he does believe Adderall abuse is on the rise in the league. With many college students using the drug without a prescription to study deep into the night, he said, players come into the NFL accustomed to the idea of popping the pill for a boost. "It's not a secret that it's a societal trend," Birch, who oversees law and labour policy for the league, said Wednesday. "I think we're starting to see some of the effects of that trend." Players diagnosed with attention deficit hyperactivity disorder, or ADHD, can apply for a therapeutic use exemption that permits them to take Adderall. An independent administrator reviews their medical history and diagnostic tests to approve or reject the application. Several players who have tested positive said they had a prescription for Adderall but not an exemption. 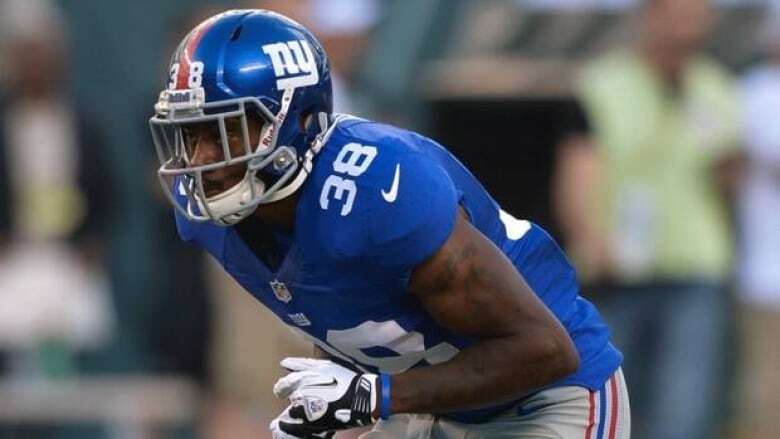 New York Giants rookie safety Will Hill said in October before starting his four-game suspension that he didn't know when he received a prescription that Adderall was on the league's list of banned substances. He appealed the suspension and lost. "I accept full responsibility for this situation, and it won't happen again," Hill said. Dr. Steven Pliszka, a psychiatry professor at the University of Texas Health Science Center, said about 4 per cent of the general population has ADHD. The number could be even higher among professional athletes, he said, because some traits of the disorder may actually help them in sports. But Birch said the percentage of NFL players with exemptions was, in fact, lower than the expected number for the general population. That's a significant difference from Major League Baseball, where more than 100 players have been granted exemptions in recent seasons. That works out to close to 9 per cent of all the players on 40-man rosters. The percentage of players being treated for the condition is roughly 10 per cent. Dr. Pliszka is skeptical that people can develop ADHD as adults. To prove a diagnosis, he said, a player should be able to document he had trouble concentrating back in school. Adderall is prescribed to help increase focus and reduce impulsivity in people with ADHD. For athletes, its benefits are different than what fans usually associate with performance-enhancing drugs. "It's not going to help you hit harder, run faster — not at all like steroids," Dr. Pliszka said. But like those college kids cramming for a final, NFL players can get a boost from the drug. "It would absolutely give you a competitive advantage. Fatigue, focus, concentration, maybe aggression," said Dr. Michael Joyner, a sports physiologist and anesthesiologist at the Mayo Clinic in Rochester, Minn. "And if they were using it during training, the ability to train harder, longer, the ability to have fewer bad days." In Seattle, the Seahawks' starting cornerbacks face four-game suspensions after failing tests for performance-enhancing drugs, though exactly which substance was not clear. Fullback Michael Robinson, the team's union rep, vented Wednesday about the league's drug policy. "When I think of performance enhancing, I think of making me run faster, jump higher. I mean, really getting an edge on somebody," he said. "I just wish they would take some of those substances and clear it up so we know what exactly is going on." Birch insisted the NFL does all it can to inform players that Adderall is a banned substance. "There's ample education and awareness out there if the player is attuned to it," he said.